A grab-and-go pancake made with peanut butter and dark chocolate. 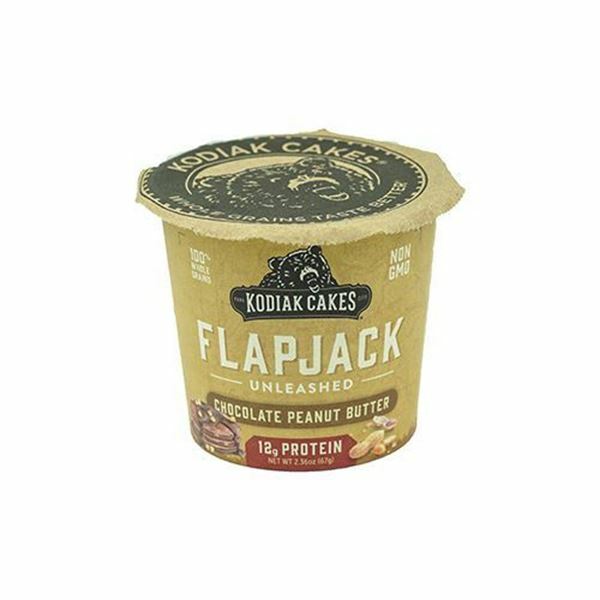 Loaded with hearty whole grains and sweetened with rich chocolate chips and peanuts, Kodiak Cakes Chocolate Peanut Butter Flapjack Cup is a great mid-afternoon snack to get you over that 3:00pm slump. Simply add water, stir, and microwave for one minute. No skillet or spatula needed to make this pancake! Get Kodiak Cakes with your next delivery order. 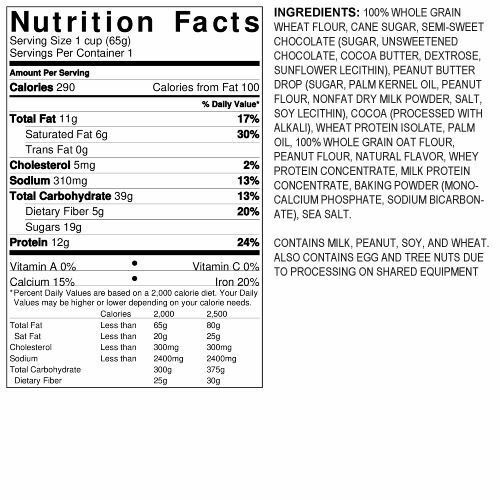 Note: Contains milk, peanut, soy, and wheat. Also contains egg and tree nuts due to processing on shared equipment. I was hesitant but this was good! I was really hesitant to try this since I am not usually a peanut butter person. I am really glad I did! It was delicious. I am ordering more today!